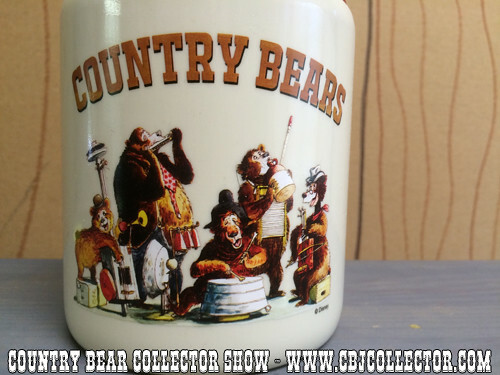 It’s a rare occasion on this podcast when we get to review NEW Country Bear Jamboree merchandise, but that’s what we get to do today! I live in anaheim CA, I REALLY NEED THIS JUG. Do you know where i can buy it. My next visit to disney world is September 2016. So afraid they won’t have them then. I’ve been a fan of country bear jamboree since my first visit to disney when i was 7 years old. Any info would be great. Hi Deborah- Well, unfortunately, they aren’t selling it at Disneyland. If you don’t have a friend who can pick one up for you, you could check eBay. Prices have come down a bit since this video was filmed. We are also giving one away to someone subscribed to our YouTube Channel, so you could try that as well. https://www.youtube.com/user/SaturdayMorningMedia Good luck, it’s a great piece!